Trained locally at Temple University, and working professionally now for over 30 years, I can say I'm blessed to be able to do what I love -- painting. Whether it's helping a family choose the right color palette for their new home or nursery, painting an exciting mural at the local pediatrician, or turning bland white columns into faux marble, I love it all. My career has taken me as far as California, but I primarily service the tri-state area (Pennsylvania, Delaware and New Jersey). 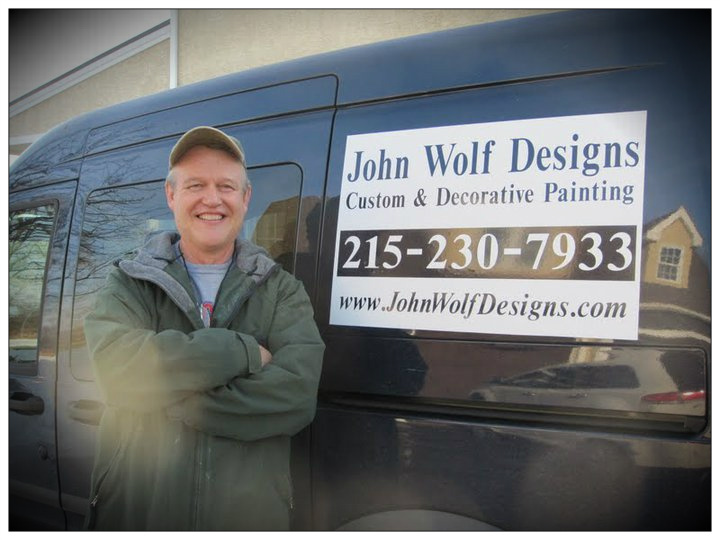 Based out of Bucks County, Pennsylvania I have a lot of experience in painting services in south eastern PA, but am willing to go where the brush takes me. I hope you've enjoyed taking a look at my work, and would love to hear from you soon. Visit my contact page for my info. Thank you.